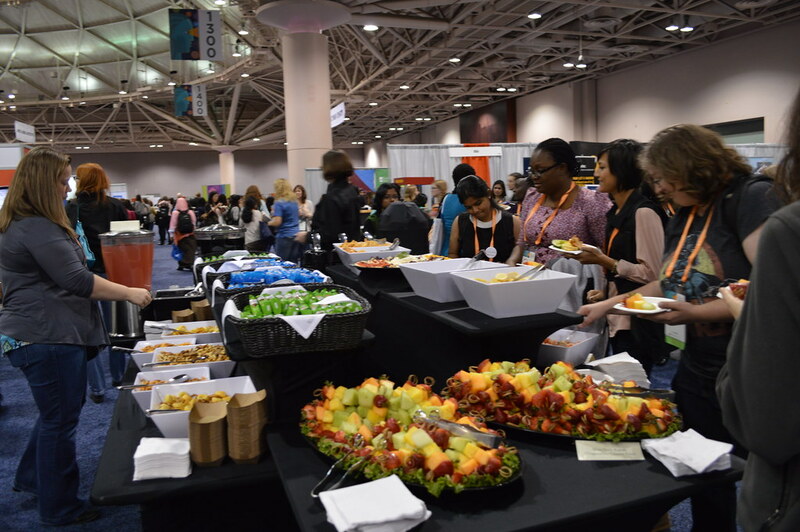 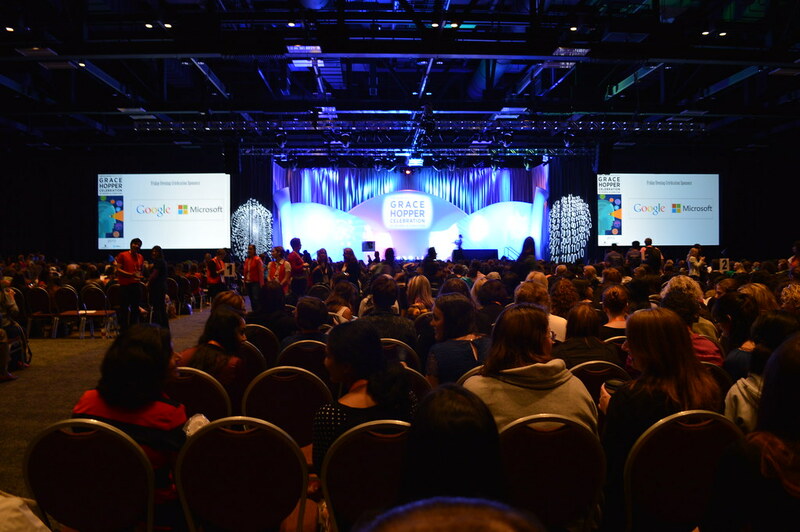 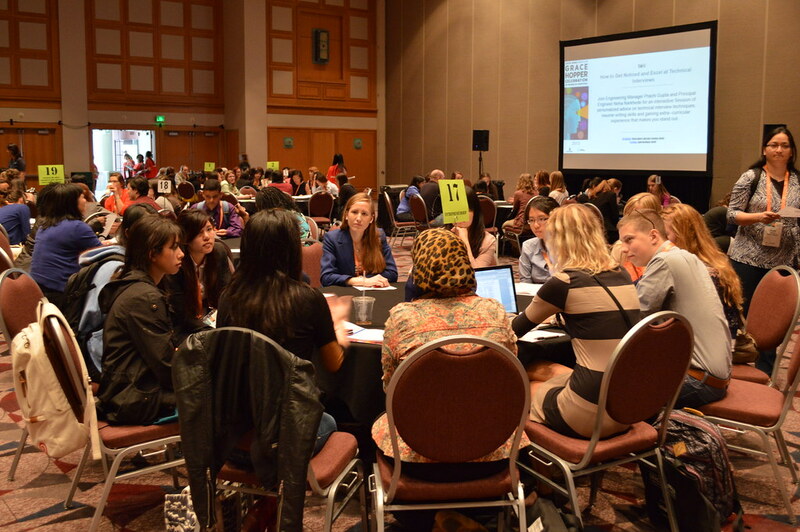 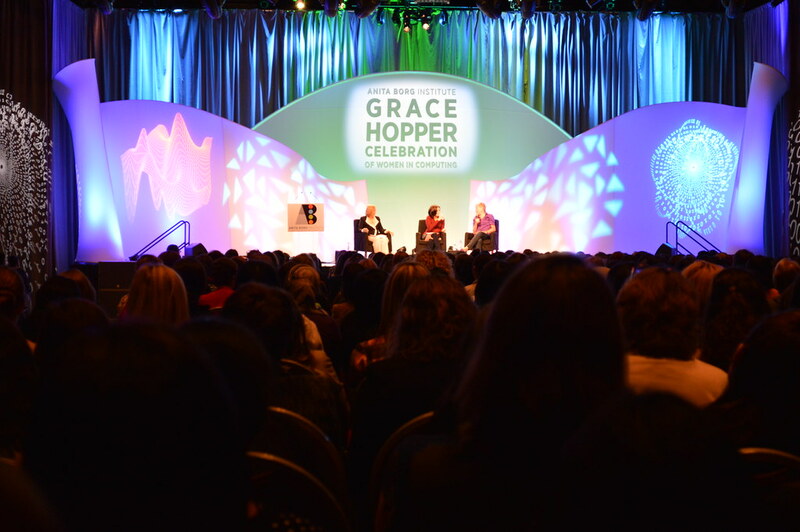 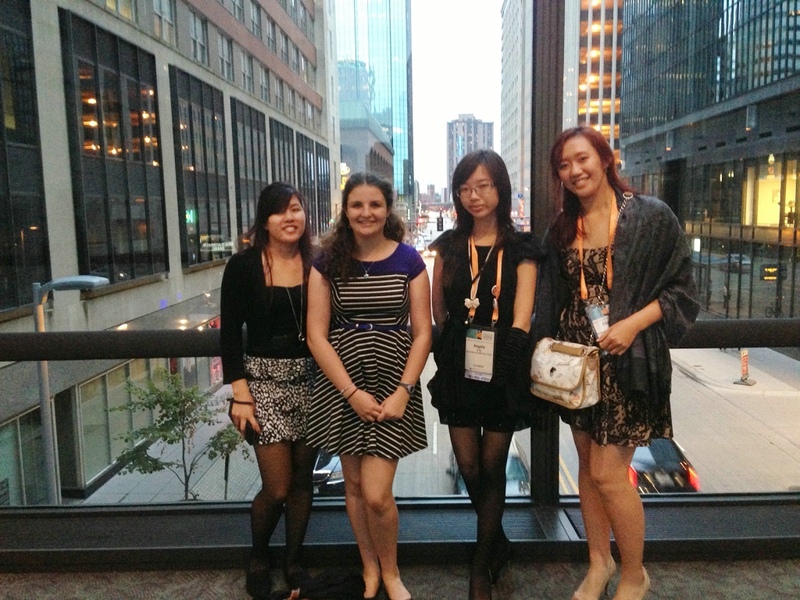 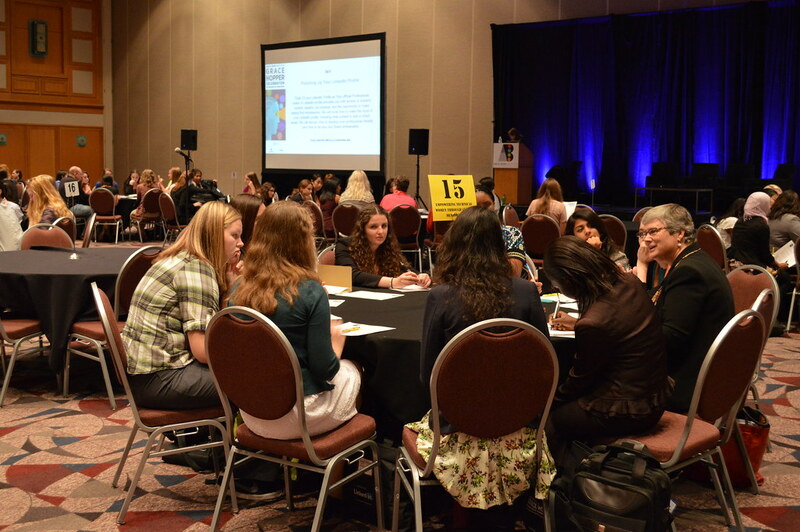 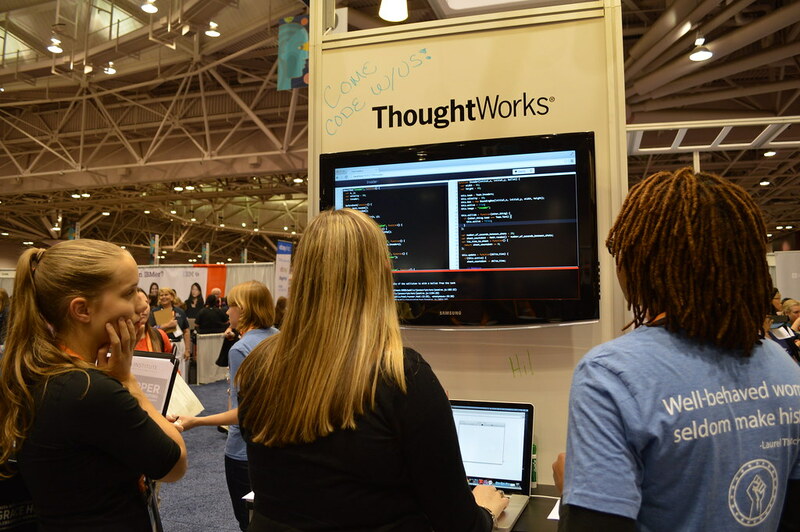 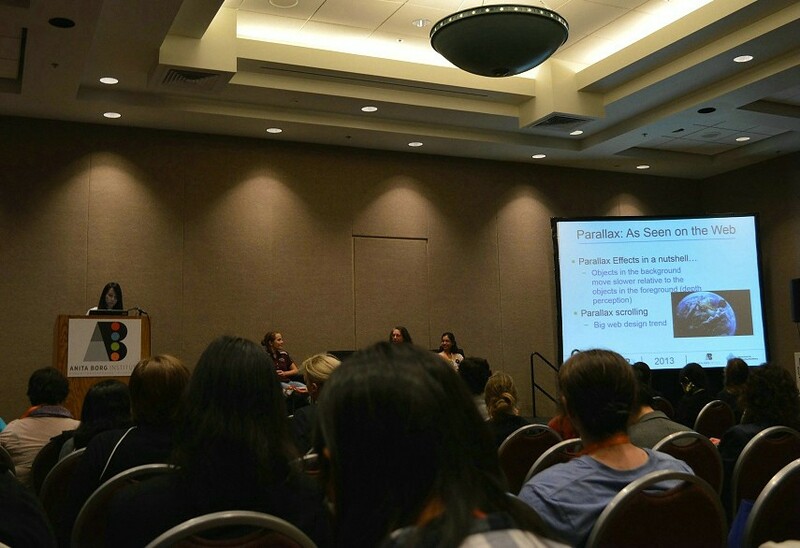 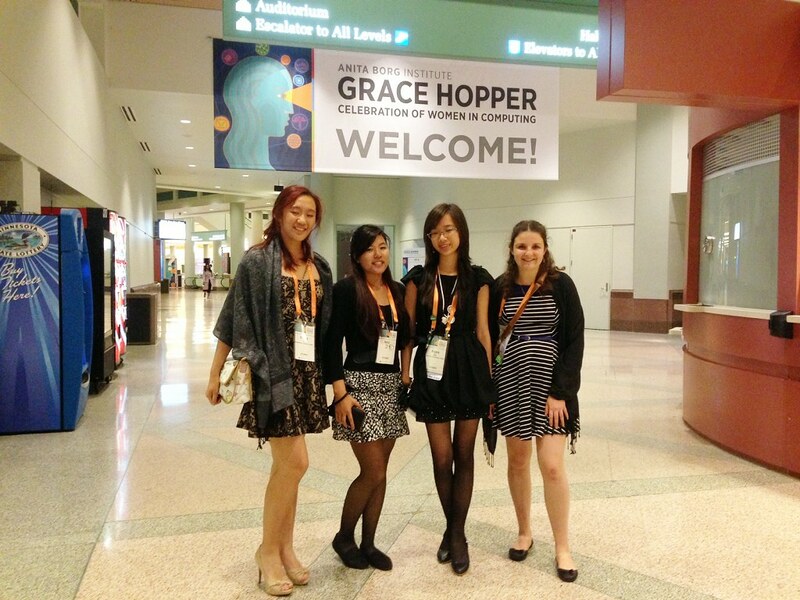 From Oct. 1 to Oct 5, four of WICS’s board members who were sponsored by the Donald Bren School of ICS and Calit2, attended the annual Grace Hopper Celebration of Women in Computing in Minneapolis, Minnesota. 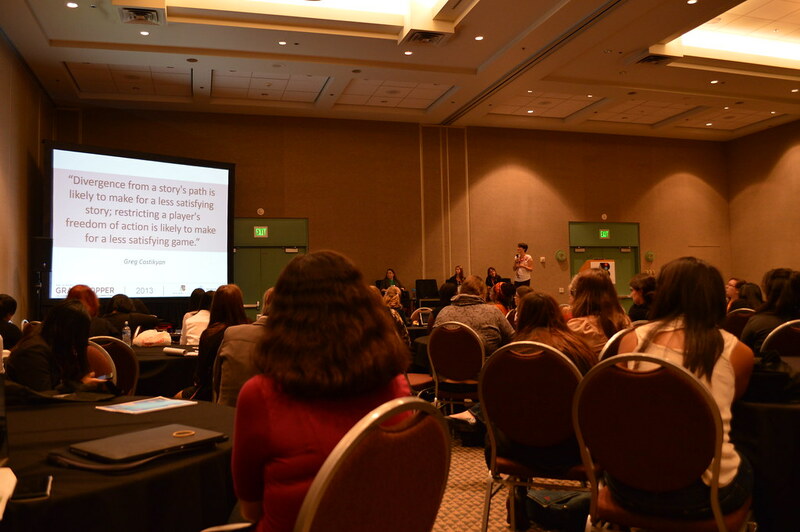 There were many workshops that ranged from important skills to know in the professional field to talking about video games and what companies are doing to improve them. 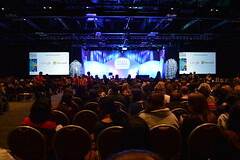 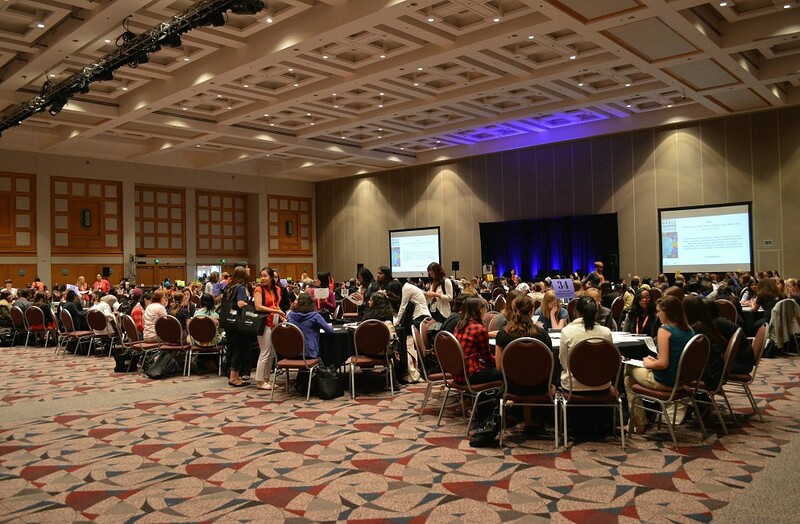 The whole event was truly inspirational as there were more than 4600 attendees who all became supportive to each other in the technological field. 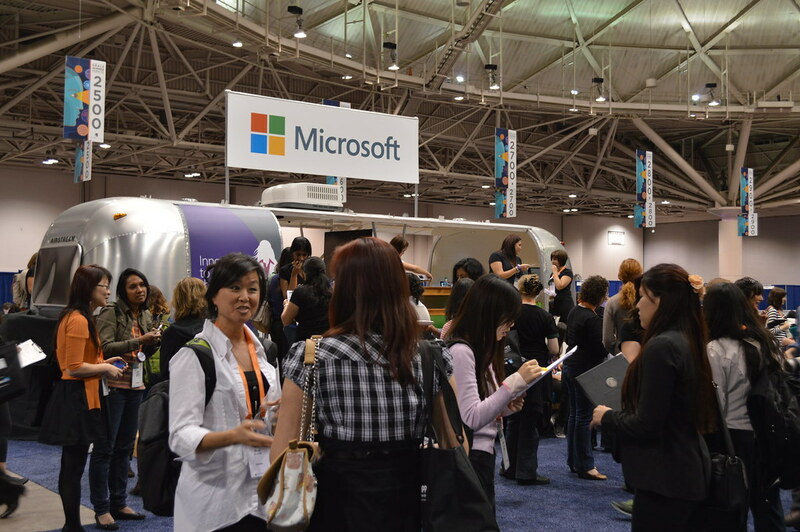 Not only did the members get to learn more about women in technology, they also got a chance to meet representatives of all the big technology related companies such as Microsoft, Google, Apple, Facebook, and many more at the career fair which was open every day during the celebration days. 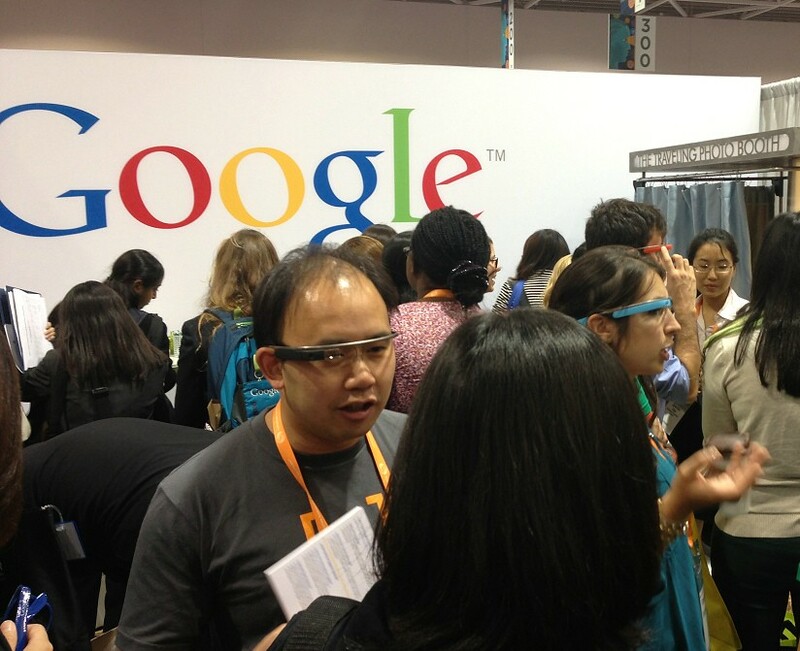 Resumes were given out and company swag was received. 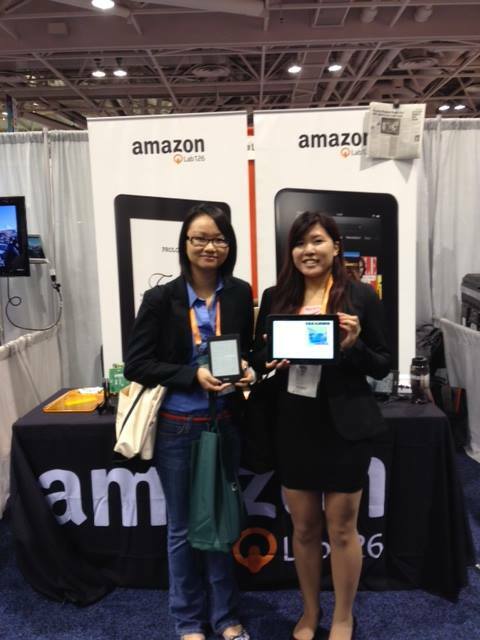 WICS will be giving out these swag items (shirts, stickers, car chargers, toys, bags, etc.) during the course of the year at our events! 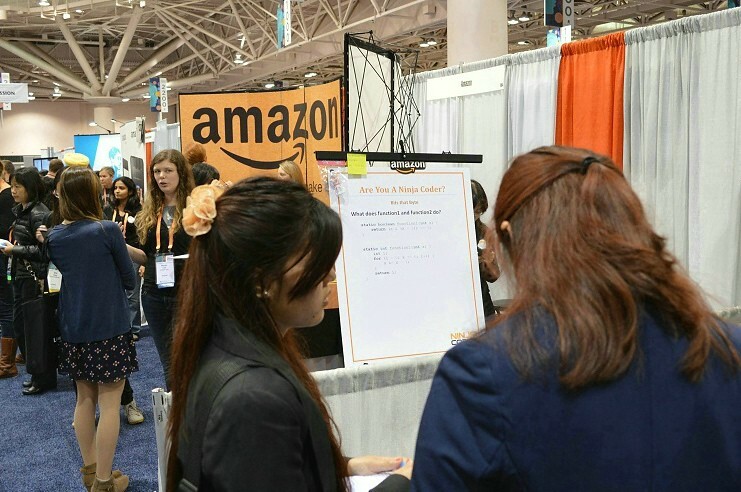 Many companies were also enthusiastic about coming to UC Irvine to present speeches and talk to the students more about women in the technology field as well as their company. 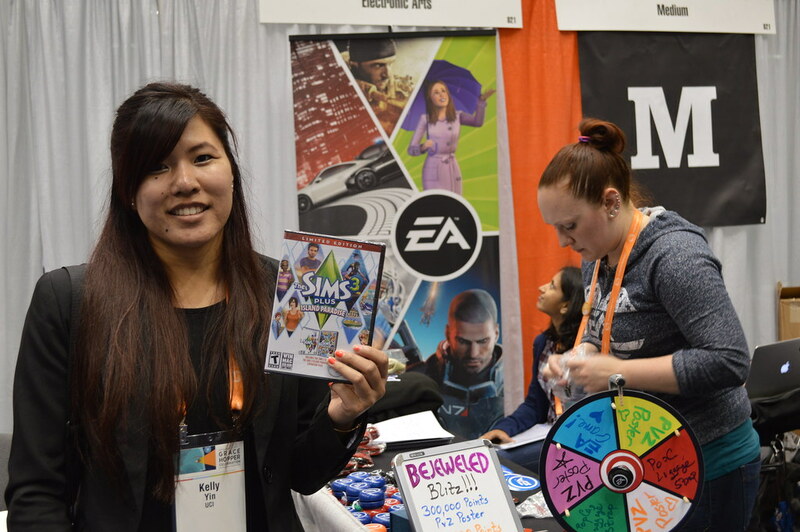 One of the members won “The Sims” limited addition game from the EA booth as well as a Kindle Fire from Amazon by entering a raffle after answering some engineering questions! WICS is hoping to sponsor more members to go to the celebration next year, which will be located at Phoenix, Arizona. 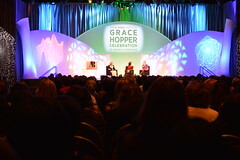 Join the committee for a higher chance to attend and if you want to learn more, check out this years GHC website and more pictures posted on Facebook.